Nearby accommodation you can find the Presidential Palace, pedestrian zone with busy Obchodna ulica with lot of shops, restaurants, bars, clubs, casinos .... About two corners next is the main transport hub city. Hop on one of many buses, trams, trolleybuses which crisscross the city to wherever you want to go. 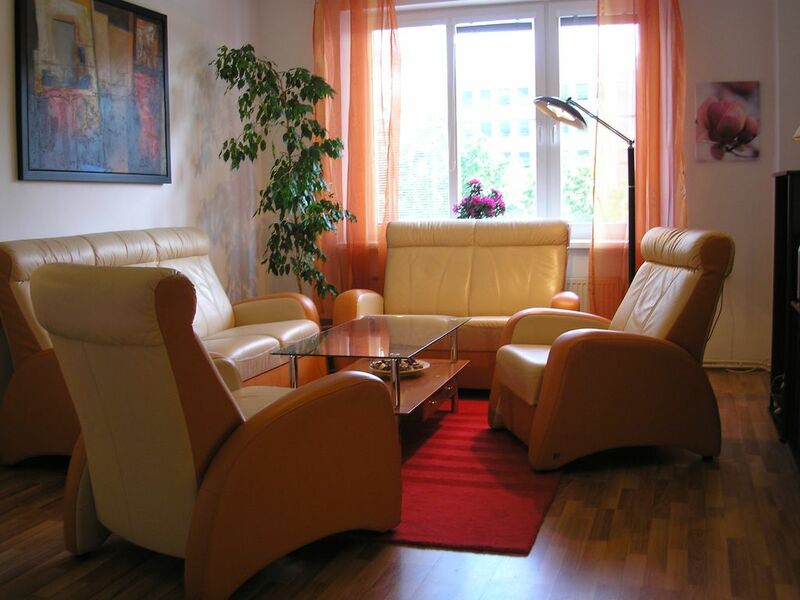 You'll enjoy the beauty city and your location in the heart of Bratislava. Main Old Square is by foot only few minutes far. The apartment is silent, spacious, comfortable, tastefully furnished. The windows overlook the beautiful, year-round green Old Town Park. The apartment accommodation is located on the second floor in residential building in with elevator. The size is 220 squere meters or approx. 2370 square feet. The apartmet is suitable for accommodation larger group of up to 17 persons, as family holiday, wedding guests, sport team .. Towels and all bedding are supplied incl. I could not be without his family, beloved Lili and children - beautiful moment and days home and wandering the world, for example in Prague, Budapest, Lisbon, Lodýn, Rome, Paris, Athens .... We provide accommodation services in private apartments. We do it seven years,already. It has been with us many groups of friends particularly from English, French, Belgika ... and it was always friendly mood, share own experiences and experiences, adventures on the roads.